Olivia Alexander is the Founder and CEO of Kush Queen, a premier luxury lifestyle cannabis brand that launched in 2015. Renowned for providing quality, innovative cannabis wellness and lifestyle products, Olivia has become known as one of the industry’s top tastemakers, pioneering new areas of the space and creating trends at every turn. In less than three years, Olivia grew the Kush Queen brand into a multi-million dollar, multifaceted brand carrying only the finest in both CBD-only, and THC-infused products including bath bombs, pain relief lotions, edibles and more. Having been featured in and on the Hollywood Reporter, Fashionista, Refinery29, Glamour, Harper’s Bazaar, Popsugar, Mashable, among other high end media outlets, the company is now being lauded as one of the fastest-growing award-winning cannabis companies helping revolutionize how Cannabis is positioned and sold throughout the country. 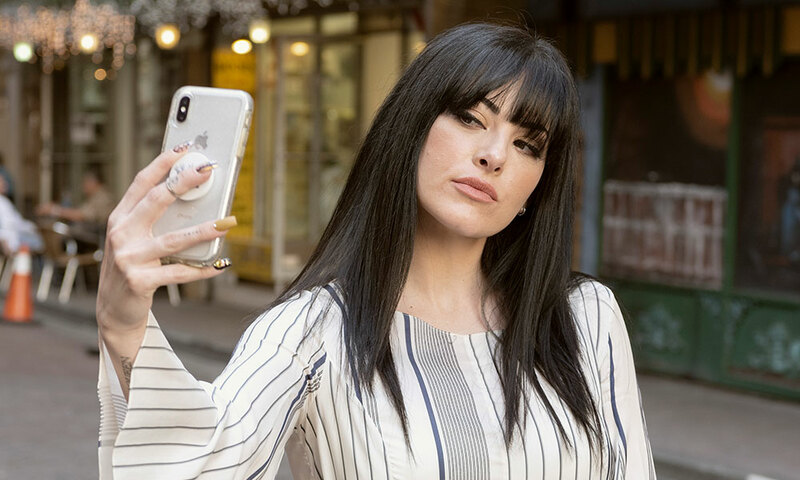 In addition to Kush Queen, Olivia is the CEO of Crystal Cult, a line of handmade Swarovski Crystal Vapes, sunglasses and pipes, as well as the former COO of The Third Eye Agency, a full-service cannabis marketing agency that has high success in helping cannabis businesses grow and break into the mainstream. At the Third Eye Agency, Olivia helps cannabis companies build loyalty between consumers and their brands and products using her history of branding, content marketing and social media. Olivia drives the organizations’ strategic growth, product management, partnership and distribution development, marketing, and staff. Olivia has a knack for being able to develop, connect and relate the right cannabis products to the right communities. She also is the woman behind 5 massive social media accounts, EatWeedLove, TheKushQueens, BuddFeed, Weed.California, and TheCrystalCult, which collectively have over 800,000 followers. Olivia is an influencer, an advocate and a proud female contributor to the cannabis industry. Formerly a Beauty Queen who lived in Louisiana until the age of 13, she now has developed a name as the Kush Queen. Everytime my brand is featured on a list of best CBD products with products that contain hemp seed oil a little bit of my soul dies.
" Creating content has helped me tell my story, build a following, share products that I love. I created the content and I did not see and have been a driving force in the mainstreaming of cannabis. "